As an electronic cigarette user, you probably think you’ve tried all the best flavours on the market. However, there are so many great ones that you need to consider some of the following flavours as one of your favourites. Have you been unable to transport yourself back to the days where there was no better way to spend an afternoon than popping bubbles and chewing bubble gum? With bubble gum flavoured e-liquid, you’ll be able to enjoy that feeling as an adult. 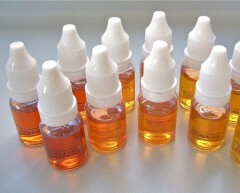 The cool tart flavour of raspberry is possibly the best e-liquid flavours for e-cigs. It gives you the tart flavour on your tongue as you inhale your e-cigarette and enjoy the experience of raspberry. What better way to feel at a part with the world when you pick up a cola flavoured nicotine e-liquid for your favourite e-cigarette. Cola truly brings people together, and it can help you to feel at one with the people around you as you inhale the sweet bubbly taste of cola. Another favourite this cherry iced flavour is sweet but gives off the crisp cool taste of cold water. On a summer day, there can be almost nothing better than a nice pull from an e-cigarette filled with this nicotine e-liquid. If there are two things that go together better than rama lama and dingdong, it’s strawberries and chocolate. And even better experience is when you try this great nicotine e-liquid. You’ll probably think that it’s the best e-liquid for e-cigs ever, but there are so many more it’s hard to choose. Why not forgo an alcohol-laden toast at new years eve on midnight and do something different with this champagne flavoured e-liquid? It will expand your horizons and change your mind about the way that you want to experience smoking forever. Do you like Pina Coladas? Sure you do, everyone loves a Pina Colada. With Pina Colada flavoured e-liquids, you are transported beach side from the first puff. You’ll feel you’ve been whisked away to a tropical island. Why waste calories on a cappuccino when you just want to experience the taste. Using a nicotine e-liquid that features cappuccino taste will change your smoking experience. You’ll be able to smoke your morning coffee instead of struggling with the barista to get her to get your order right. The smooth taste of vanilla will embrace your mouth as you enjoy this e-liquid for e-cigarettes. It’ll change the way you think about e-cigarettes and the way that you think about the taste of vanilla. It will smoothly swirl around you and make you think of vanilla ice cream as you puff away. 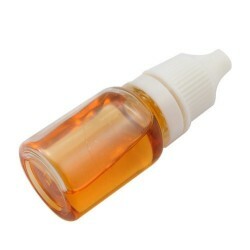 By far the best e-liquid for e-cigarettes Rum is hands down a favourite flavour that you haven’t tried yet. The adage goes that take whatever you love to do and when you mix it with rum it instantly goes to the next level of wonderful. What a better way to experience e-cigarettes than to mix it with rum.